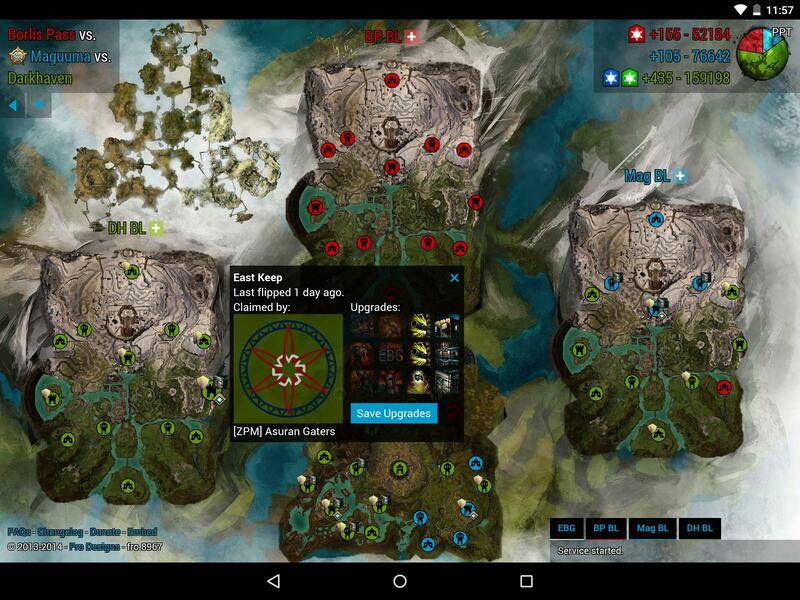 Recently, I launched an updated version of the WvW Intelligence web app: http://wvwintel.com. These changes originally began as an attempt to use the GW2 Tiles API, but I was unhappy with the result and decided to improve upon the current app instead. With the Heart of Thorns expansion looming on the horizon, I expect there will be many changes I will have to make to bring the website up to speed. I'm hoping the GW2 API is updated before release so there is no downtime for users while I prepare the updates. I also added in a fun April Fools update that has a robotic voice heckle you while you play which was a big hit. It is now available as an optional feature in the audio settings tab. Step 2: Open the browser menu and pick "Add to Home Screen"